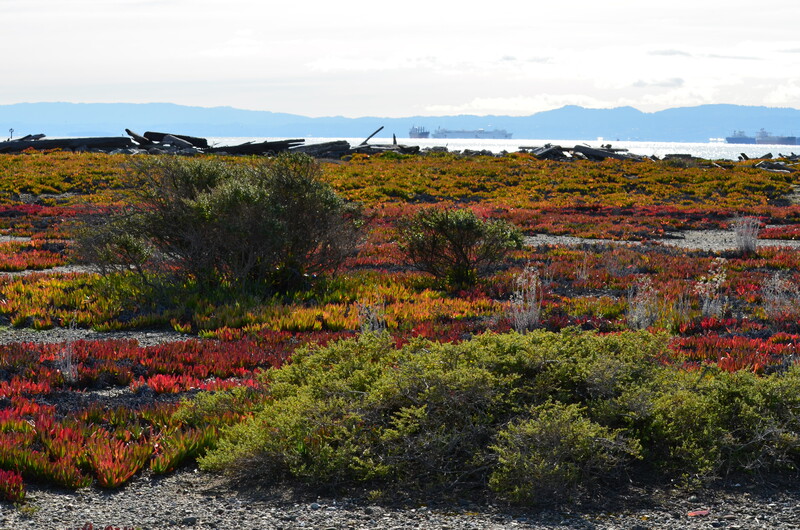 Alameda Point was created by filling in the Bay on the western side of Alameda. 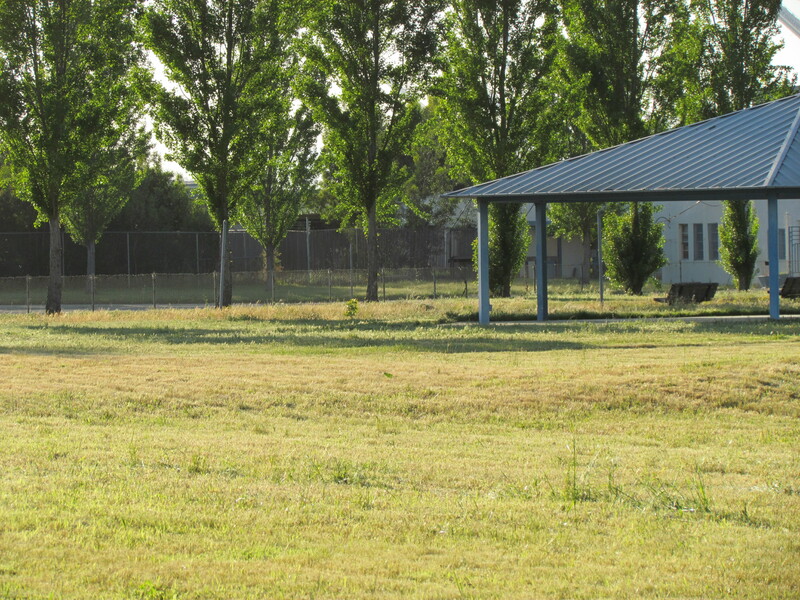 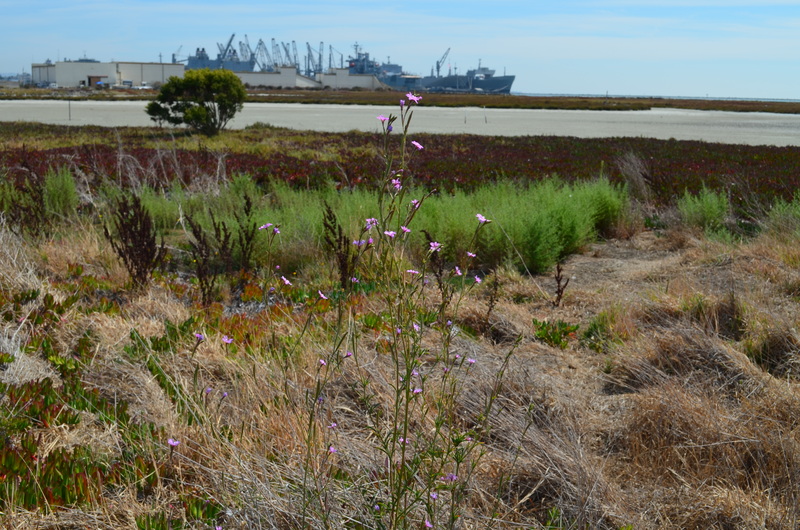 The landscape in the former airfield - over 700 acres - is mostly volunteer vegetation - grasses and ice plant - that became established between the runways and taxiways during 50 years as a naval base. 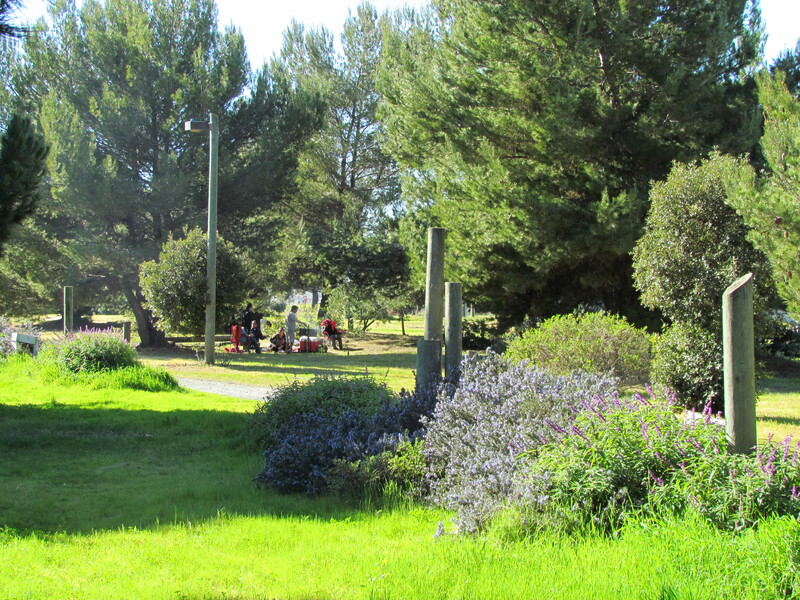 Two wetland areas - Runway Wetland and West Beach Wetland - have established wetland vegetation. 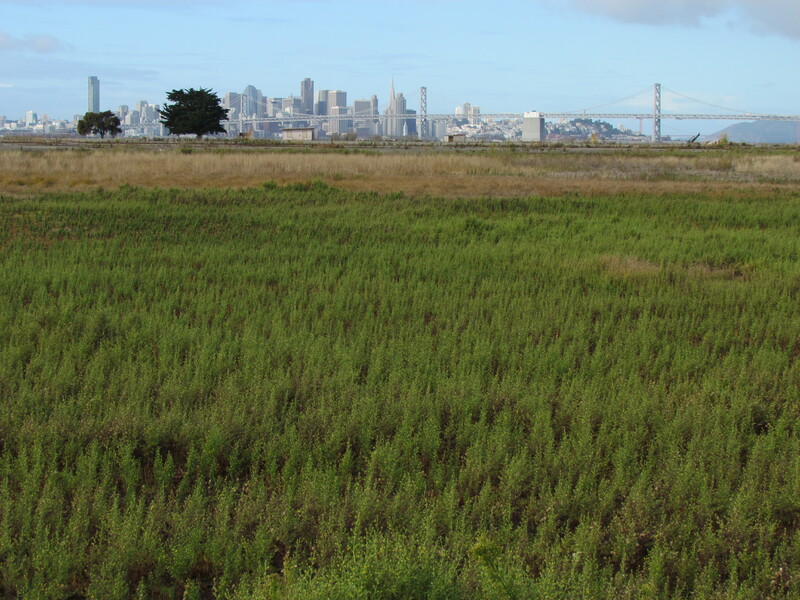 The West Beach Wetland is permanently connected to San Francisco Bay via a metal culvert. 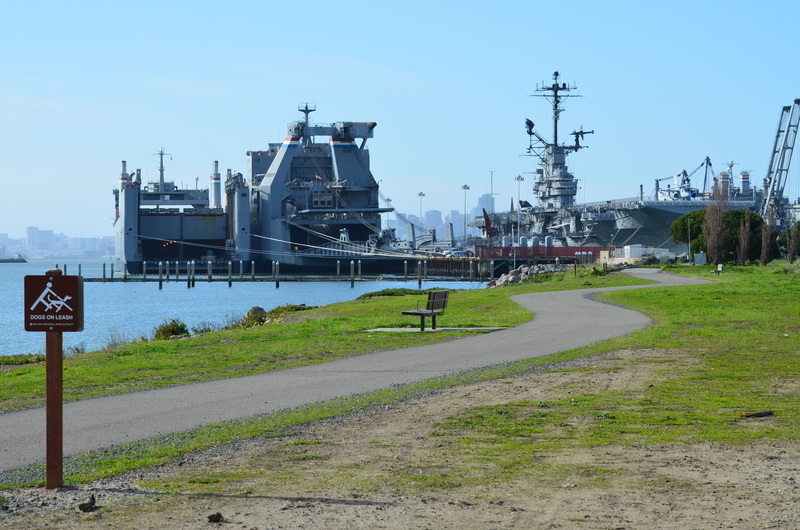 The built portion of Alameda Point features landscaped residential areas, recreational areas, and public spaces - all with mature trees that are reminders of the emphasis on an aesthetically pleasing design in early planning of the naval base. 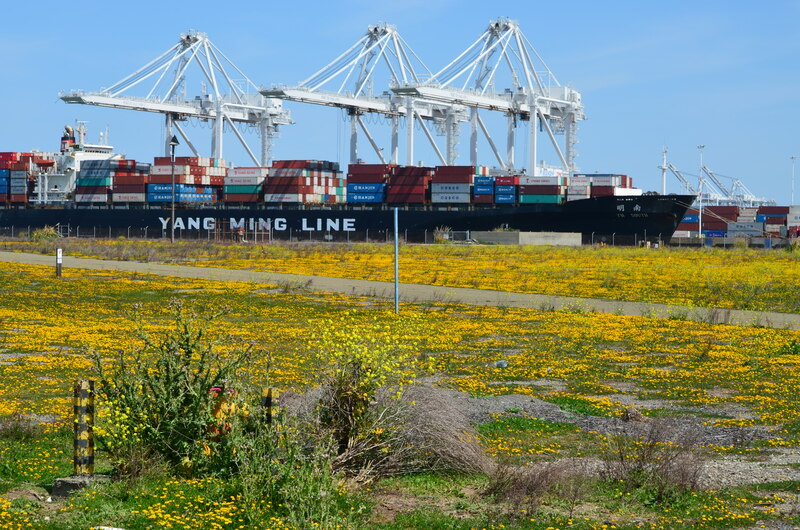 Water is perhaps the most obvious feature of the Alameda Point landscape, with unique assets such as the Seaplane Lagoon, and the Inner Harbor with its mile-and-a-quarter-long wall of boulders known as the breakwater.